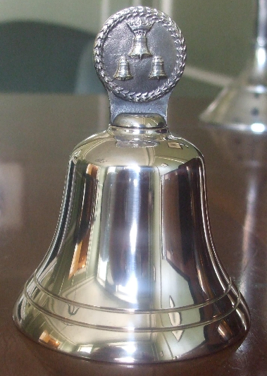 A high quality Whitechapel Table bell with a handle bearing the three bell logo. 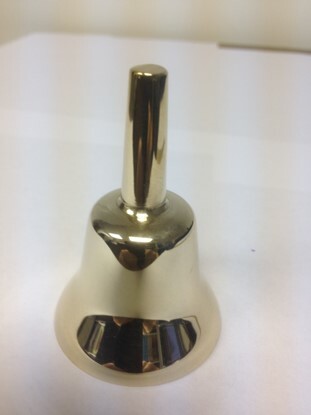 Cast from the highest quality bell metal bronze then turned and polished by craftsmen to create a superb looking and sounding bell approximately 4 inches high with a diameter of approximately 3.5 inches. 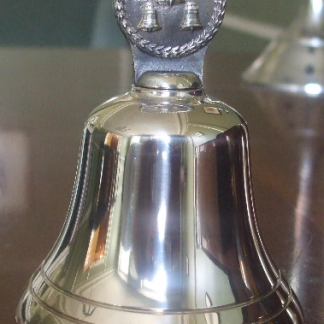 The shape of the bell brings to mind many of the great bells cast at Whitechapel over the centuries including Big Ben and the Liberty Bell.